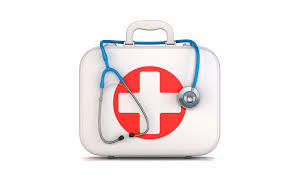 This listing is an established, very profitable, and growing home base Medical Supply Company based in Western Montana for sale. The current owners have been operating the business since 1992 and are retiring. The company both delivers and ships disposable medical supplies to practitioners. Virtually all of the sales are from repeat customers and are re-orders. The sellers have not focused on growth for over 10 years, yet the business keeps growing. A new owner can grow the business by marketing, advertising, attending tradeshows and simply focusing on growth. The sellers only work the business about 10 hours per week, so there is ample time in the work week to focus on growth. This is an excellent opportunity for to get into a growing industry and build upon the base that the sellers have built over the last 25 years. This entry was posted on March 30, 2017 by Mac Thelen.